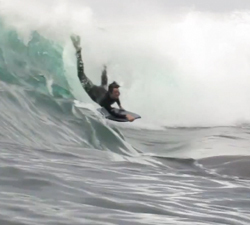 This video is all about the journey to find waves, the disappointment and the payoff. A Spanish crew go on the search. 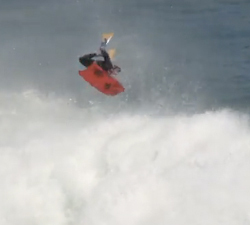 Day 4 kicked off at the IBA GQS Antofagasta Bodyboard Festival in fun lefts. The local and Pro riders representing. Better late than never: A great fresh perspective of the Arica Chilean Challenge 2012 by huasco bodyboard. 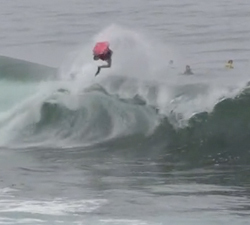 A different perspective of the Arica Chilean Challenge 2011: IBA World Bodyboarding Tour: 8th Day – 3rd round! Aitor Martin from the Canary Islands’s latest video showcasing his arial talents at various wedging reefbreaks! Mundaka pumped for a few days in January this year. Here is some footage shot by Mitxel Produkzioak. 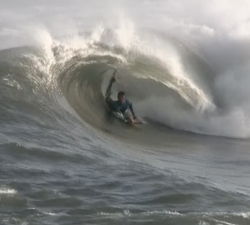 The first day of the GSS Mens Main Event got under way in bigger swell at The 2012 IBA Sintra Portugal Pro. More shallow slabs from Shark Island, Cronulla, this time from Toby Taylor on the 7th of May 2012!